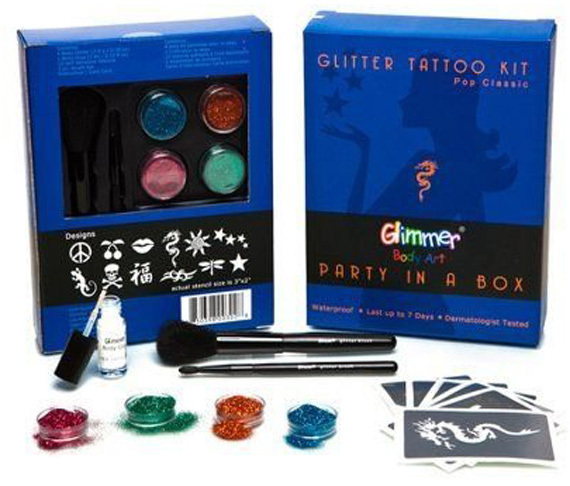 I found this awesome glitter tattoo kit on Amazon ($17.98). The kids LOVED it. It was so simple to do we had one of the older kids at the party apply the tattoos (THANKS SAGE!). The kit easily did 30 tattoos maybe more (some parents got them too!). To apply put sticker on where you want the tattoo. Apply the glue in the relief of the design. Next use a stiff brush to apply the glue. Next use the soft brush to dust off the excess glitter. This kit had plenty of things to choose from for girls or boys which was perfect because we invited both to the party. Although this didn't really go with the movie theme Anna really wanted them because they had been at several parties earlier this year. I was pretty psyched about this find so I thought I would share.